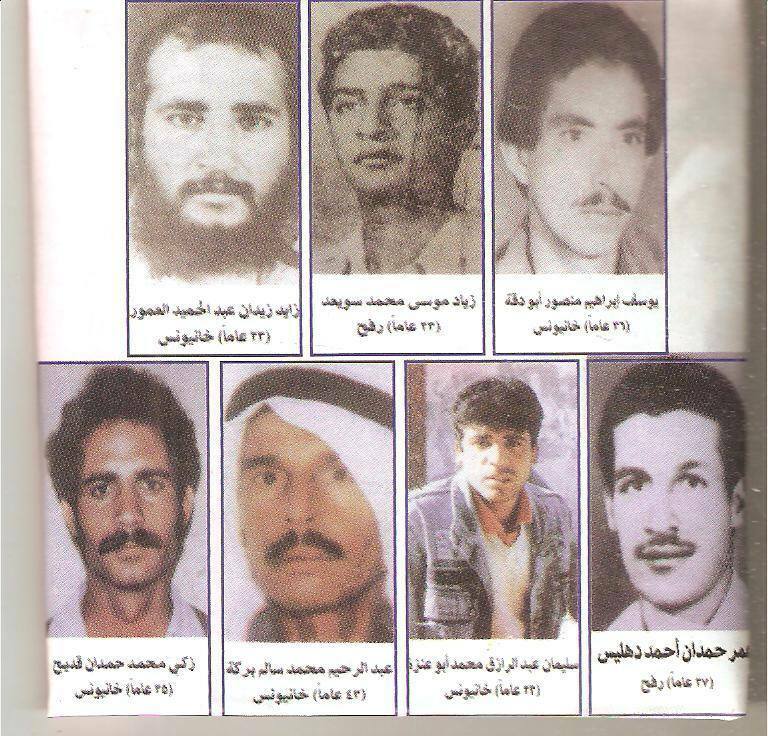 In the early hours of Sunday, May 20th, 1990, a group of 100 Palestinian labourers from the Gaza Strip were waiting at the Oyoun Qarra (Rishon Lezion) bus stop to be transported to their working place. An Israeli occupation soldier, Ami Popper, from nearby Rishon Lezion Zionist colony approached the workers and asked them for their IDs. After making sure all the workers were Palestinians, Popper lined them up, asked them to kneel down in 3 lines and using his M16 sub-machine gun he opened fire killing 7 on the spot and injuring others. When the Israeli police finally arrived to the scene of the massacre, they started beating the Palestinians workers who had survived the death machine. On that day, later known as “Black Sunday”, at least another 6 Palestinians were killed by Israeli occupation forces in subsequent demonstrations while protesting the massacre. 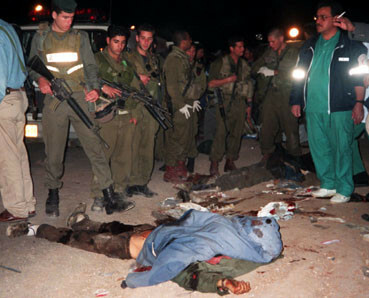 As with all massacres committed by Zionists, the Israeli government rushed to declare Popper deranged. But when it was proven that he wasn’t, he was tried and charged with murder in 7 cases.